We are talking with Łukasz Gawior, CEO of GetLark - a simple hosting platform designed for web developers. HOSTSEARCH: Łukasz, thank you very much for an opportunity to talk with you today. Can you please give our visitors some background about yourself? ŁUKASZ GAWIOR: I would say I am a real passionate of web hosting industry, in which I’ve been working actively for 10 years already. I’ve got all my experience working in the biggest hosting companies in the Netherlands and Poland, where I was developing my career step by step, starting from sales department and customer service to being a product manager, later-an operations director. I was also offering my own consulting services for a while, supporting several companies in product and marketing strategy. Over the years, I have been observing the hosting market and the changes that have taken place in it. I think that thanks to my extensive experience I have learned to spot market gaps, which later were used by my clients with my support-and now I use them, creating the http://GetLark.com. HOSTSEARCH: Can you please tell us how GetLark was established? What is the main reason your company choosing to focus on hosting platform solutions? ŁUKASZ GAWIOR: After many years of working in various companies, I was already tired of the limitations and numerous barriers that were ahead of me. 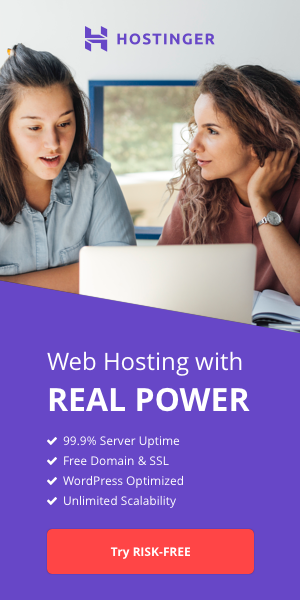 For many years I have seen a big gap in the hosting market, namely-the development of such hosting, which would be focused on improving cooperation between the web developer and the customer. Basically, understanding of the necessity to fill this gap mobilized me to start my own platform. Moreover, most of companies in the hosting market lacked a specific plan of development. And I wanted to work another way around. Services that most hosting companies in the world provide are just unremarkable. They do not have any key competitive advantage over the rest of the market - generalizing, hosting services in the market do not differ much from each other. Unfortunately, currently the main problem is that companies that succeeded to stand out from the crowd have built up their market advantage simply thanks to the large budgets rather than extensive marketing/product strategy. As a young start-up, lacking such budget we’ve decided to focus rather on building a meaningful marketing strategy. However, a few years ago the DigitalOcean.com entered the market of cloud computing. I was observing their start, listened to interviews with them, and tried to get as much information as possible about how they got started and how it was possible that such a young startup successfully threw the gloves to such giants as Amazon, Rackspace etc. If I had to explain in one sentence the reason I have decided to run GetLark.com, I would say it was because of DigitalOcean. They have proven that even young projects in the hosting industry are able to achieve great success as long as they meet the needs of their customers. Although it may sound a bit arrogant, but I expect GetLark to be a DigitalOcean of shared hosting market. HOSTSEARCH: What are the key reasons for consumers to choose GetLark among hosting platforms? ŁUKASZ GAWIOR: Definitely due to unique functionalities that improve the cooperation of webmasters with end customers. 📢 Webmaster has the ability to send a request to the customer to get an access to his services (just an email address is needed!). 📢 Free hosting for the development time - basically, you get the hosting for free while you are developing your client’s a website. After completing the project, you just need to enter the email of the client to perform the assignment of the service! In addition to these advantages, we have a well-prepared infrastructure, first tests of which have already shown our platform's performance advantage to the largest hosting companies in the world. I think that for many web developers, who choose us, an ability to generate free hosting accounts for the time of creating a website for their client is of great importance. After the project is done, the web developer will simply enter the email of the Client in order to delegate the rights to the service. And that's not the end! For every customer recommended in this way, the web developer receives 20% commission and has an extra level of service management so that he does not have to ask his customer for service data. HOSTSEARCH: Could you tell us about main differences between hosting services in different countries? ŁUKASZ GAWIOR: This is a very complicated question, and we are constantly discovering something new just every single day. I would say that this sphere is very flexible. What I see for sure is the differences in assimilation of new solutions in the countries concerned. It turned out that customers from the Netherlands, USA, UK, Turkey and India were more open to our platform. We also have quite a lot of interest in Germany, even though our customers in Europe are strongly attached rather to their local brands. Another extreme difference between countries is the difference in the perception of marketing communications. Customers from Germany, the UK, the Netherlands are interested in the specifics, parameters, comparative tests. Customers from the US or southern Europe, in their turn, pay more attention to the mission of the company, its beliefs and how these beliefs are further reflected in the product. HOSTSEARCH: Can you please share with us an overview of your products and services? ŁUKASZ GAWIOR: Of course! At http://GetLark.com we now offer shared hosting services in 3 packages and Internet domains that we offer without a margin to us. Within our Premium package you get 35GB of SSD Storage, 5 parked domains, 5 databases. What needs to be mentioned is that you can use this package for 3 months, later paying only $5,00 per month. Professional package proposes you 75 GB of SSD Storage only for $9,17 per month, and Professional Plus-50 GB of storage which costs $15,83 per month. Within all our packages you get an unlimited transfer of data from other hosting platforms; included LiteSpeed; amazing webmail; easy management of clients services thanks to super simple dashboard. With Professional and Professional Plus packages you get a premium support, as well. Apart from standard hosting we also offer managed dedicated servers and VPS - however, we do it on the client's order in case of really big individual needs. HOSTSEARCH: I noticed you mentions about PURE SSDs. Can you tell us more about it? ŁUKASZ GAWIOR: Hosting services in our company are based on private cloud with OpenStack. All client servers are based on storage that consists exclusively of Enterprise SSDs. This is very important because of the performance, which we want to offer on the highest level. In GetLark we do not allow any compromises in infrastructure. Our services must REALLY solve the problems of web developers and end customers, and generally- be simple in managing and effective. 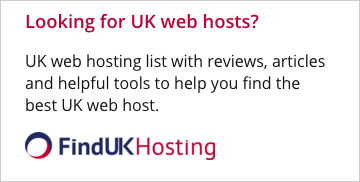 HOSTSEARCH: What can GetLark do for the customers who wish to switch from their web host to your company? ŁUKASZ GAWIOR: First of all we have a team of experts who deal exclusively with website migration from other hosting companies for free within our offer. Actually, the biggest problem with changing the provider is a safe transfer of large amounts of data, especially email boxes and databases. Our experts have already perfectly dealed with transferring of many applications, including Wordpress, Magento, Joomli, Prestashop and many others. Sometimes we organize campaigns related to extra subscription for customers who still have valid hosting accounts in other companies but would like to switch to GetLark. HOSTSEARCH: Finally, what advices would you give to our visitors looking for hosting platform solutions? ŁUKASZ GAWIOR: Choose wisely and do not get bogged down in offers of companies that have forgotten how wonderful it is to offer products that meet the needs of their customers but only see their customers simply as a tool to get more profit. Moreover, choose the company whose mission is to change well-established but obsolete status quo on the market. ŁUKASZ GAWIOR: I am also glad to have an opportunity to talk with you, and to discuss topics which are really important. Hope, that the readers will share our enthusiasm and will get inspired by the ideas we are driven with. Thank You!